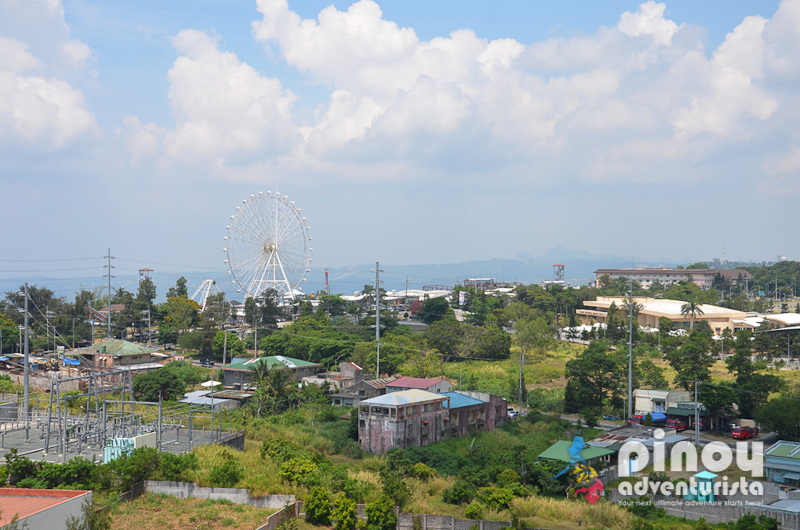 Tagaytay City is definitely one of the top weekend destinations near Metro Manila. 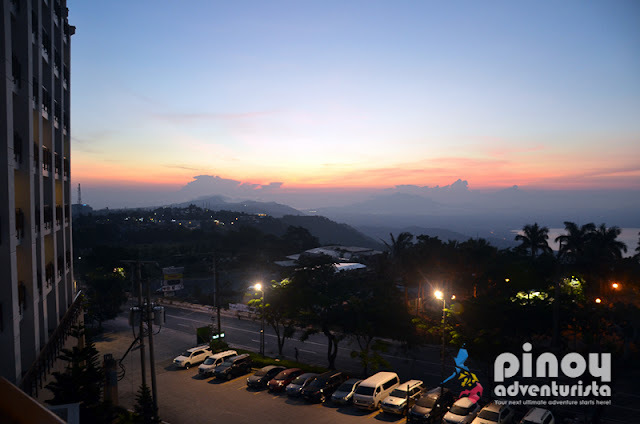 Visiting the city certainly makes an awesome trip because of its cool climate, the wide variety of things to do in Tagaytay, as well its long list of restaurants offering sumptuous and mouthwatering dishes. "Cooling off" in Tagaytay is what we needed to escape the humid Metro Manila. Sometimes all you need is to breathe in the cool, mountain air and to savor the cold climate that Tagaytay City is famous for. 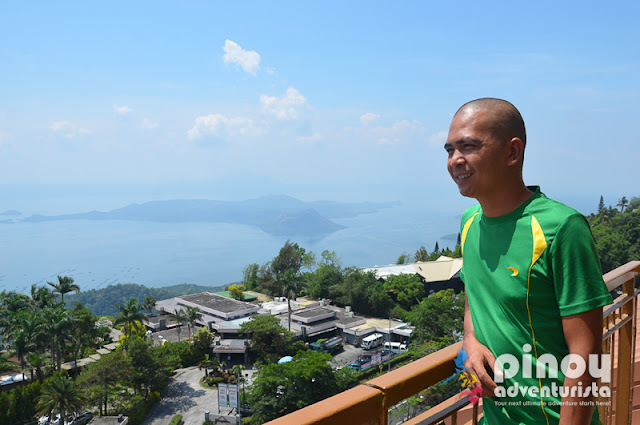 To best enjoy it, why not stay in one of the hotels in Tagaytay? Earlier this month, our accommodation was hosted by Tagaytay' Summit Ridge Hotel (Check rates online) for our overnight weekend trip in Tagaytay City. 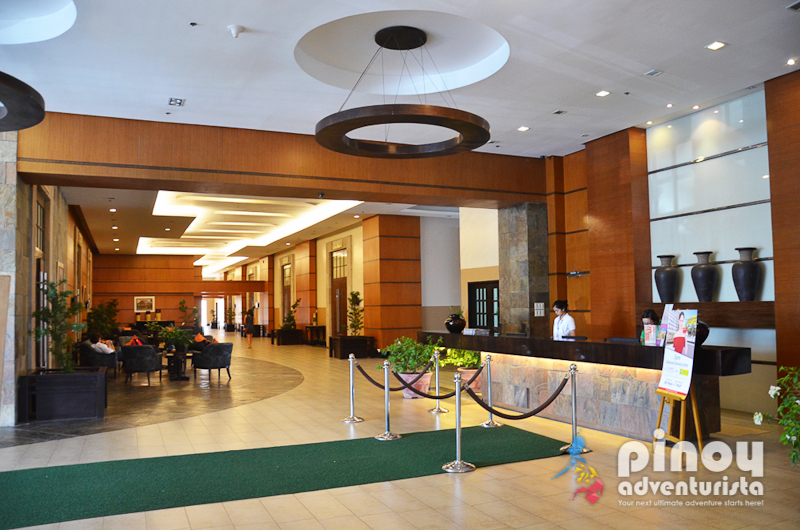 Upon arrival at the hotel, we were warmly welcomed by the hotel staff and assisted us with our booking. Since we already have a reservation, checking-was a breeze. It only took about 5 minutes and we were given the key cards to our room. Our deluxe room is highlighted with 2 single beds that are neatly covered with comforters, fresh and clean white sheets and comfy pillows that perfectly compliment it. I tried it right away and I felt like I was melting into the bed as I lay my back on it. It's not too soft, yet very comfortable!. 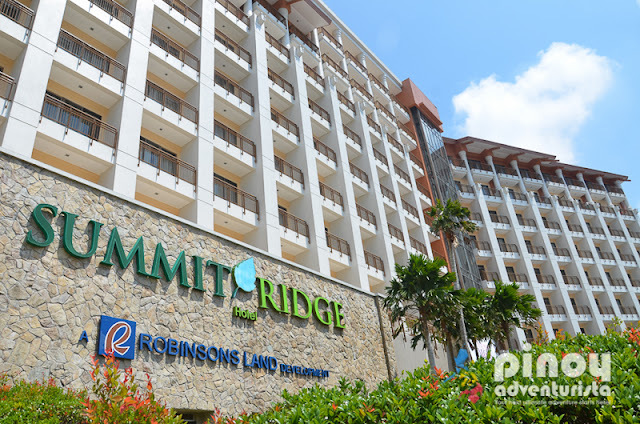 Staying at Summit Ridge Hotel Tagaytay, you also get to enjoy the various amenities such as an en suite toilet and bath, air-conditioning unit, a sofa, an LCD TV with cable channels, a telephone, a work desk, cabinets, safety deposit box, personal refrigerator, mini bar, and in-room coffee and tea-making facilities. 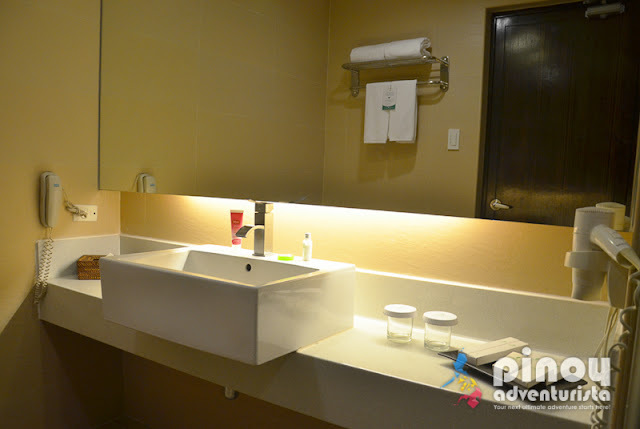 As I checked on the toilet and bath, I am impressed as it is clean and well-lit. 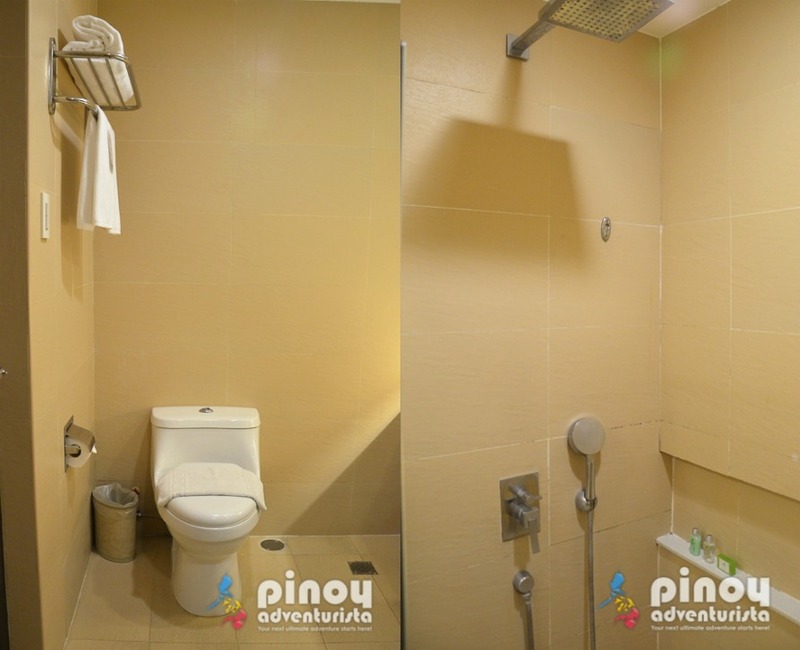 It has a walk-in shower area with hot and cold shower feature, a clean water closet and a wide lavatory with huge mirror. Toiletries and bathroom amenities such as shampoo, bath soap, tissue paper, bath gel, facial wash, body lotion, and dental care kits were also provided. The body and hand towels are soft and all smell fresh! 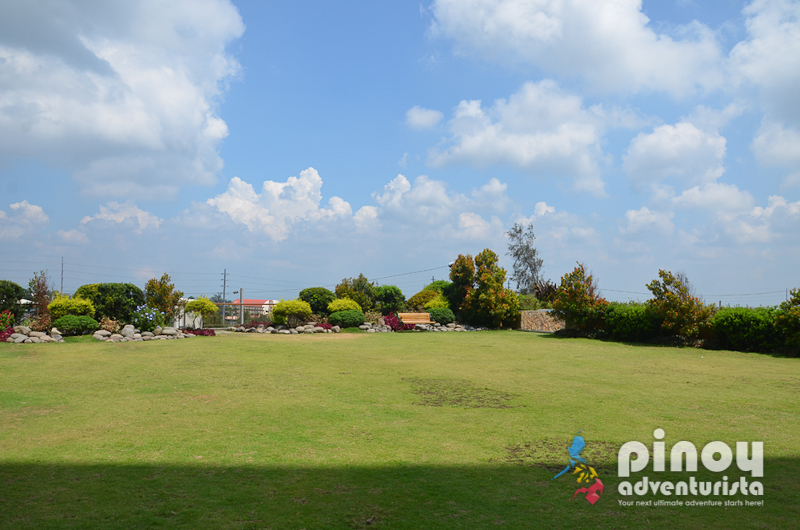 At one side of the room is a full length glass window with a door that leads to our own private veranda. 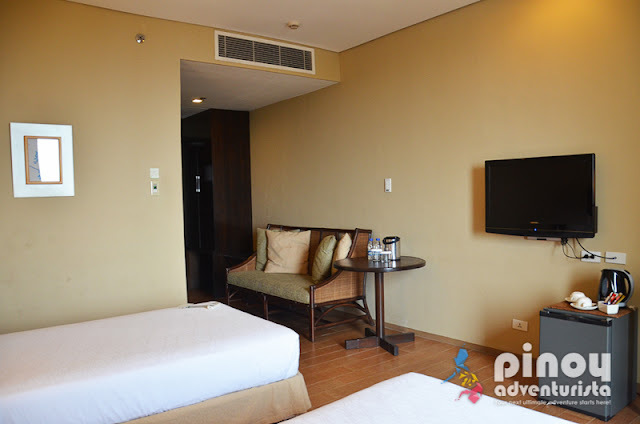 This is our favorite part of the room where we spent most of our time just hanging around while enjoying the stunning view of the city and Taal Lake. It also the best place to watch the sunrise! That is, if you can wake up early. Hahaha! Internet access is important these days that is why all the rooms are equipped with this as well. And guess what?! Their complimentary internet access is stable, reliable and fast! Unfortunately, it can only be accessed inside the room. When at the lobby or other parts of the hotel, you have to request for another access to be able to connect to the internet. I just not sure if it's still for free. Every booking comes with a complimentary buffet breakfast served at their in-house restaurant Sisterfields located at the ground floor. I love how spacious and organized their restaurant is. It has a lot of tables that accommodate guests and non-guests who wish to dine at their restaurant. Breakfast was good, but it still can be improved in terms of service and choice of dishes. One of the nicest features of Summit Ridge Hotel Tagaytay is their lovely outdoor swimming pool. This is the perfect place to chill and have a good swim. It also has lounges, chairs and tables catering to the guests' needs for a relaxing and comfortable stay. 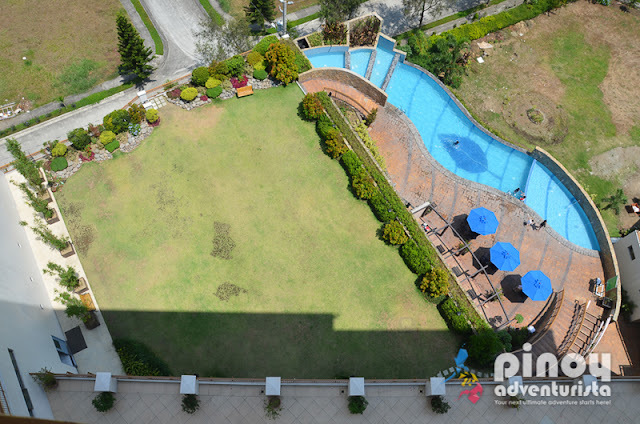 I really love their swimming pool which offers nice views of the surroundings. 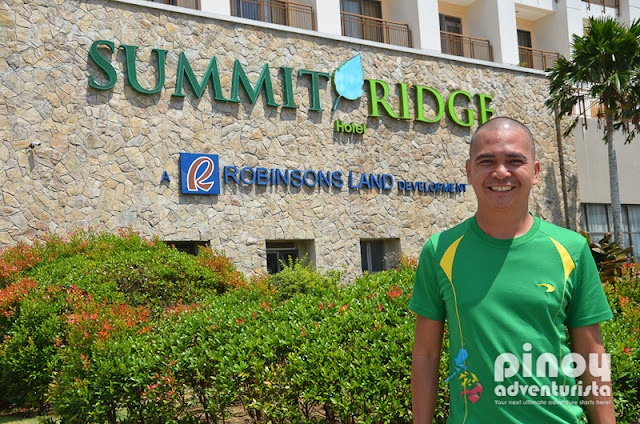 For me, it's one of the best Tagaytay Hotels with swimming pools ideal for families and group of friends. You may check room availability and updated room rates by calling them at +63 2 2406888 / +63 922 8526800 or thru their website www.summithotels.ph/en/hotels/summit-ridge-tagaytay. Room occupancy is dependent on the type of room booked. 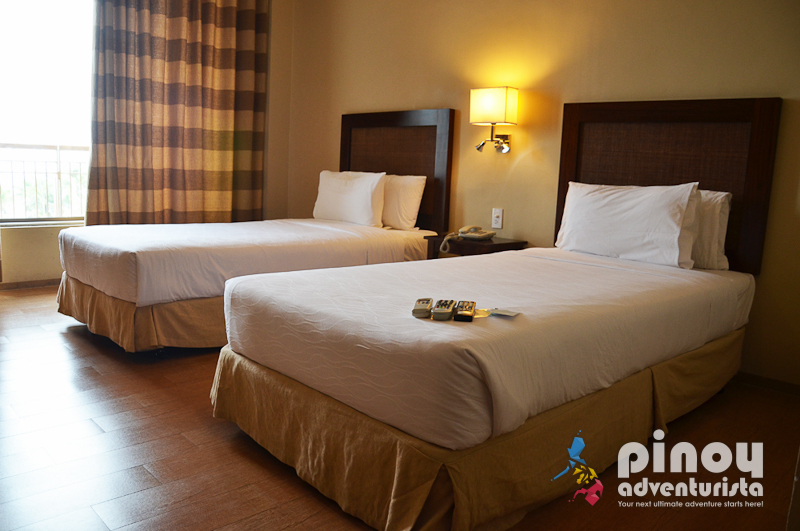 They have Classic, Deluxe, Two Bedroom Suites and Summit Suites. Standard check-in time is at 2:00 PM and check-out time is 12:00 noon. 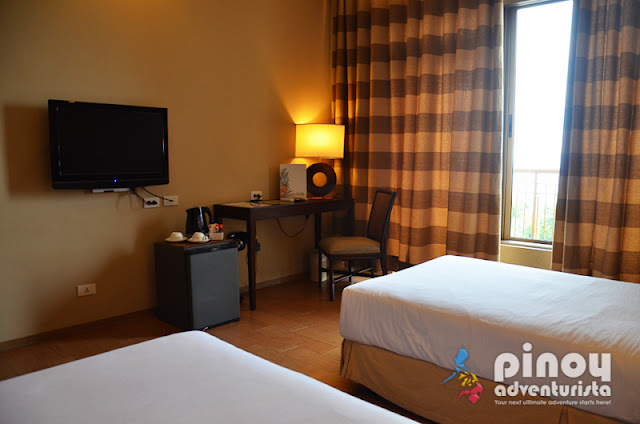 For the best hotels deals and promos, I recommend that you book via Agoda.com (Check rates online). 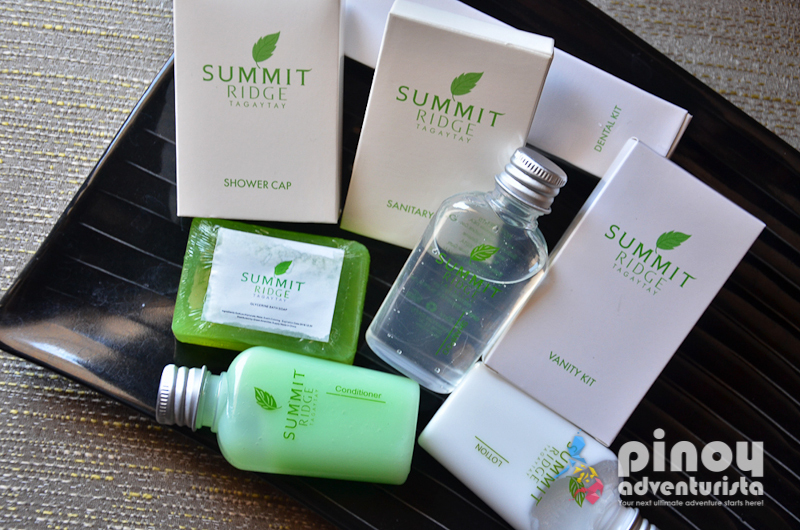 Overall, we truly had a memorable and comfortable 2-night stay at Summit Ridge Hotel Tagaytay. 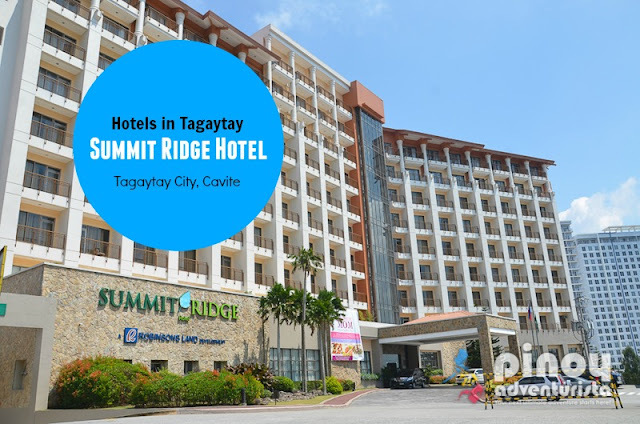 So, if you're looking for hotels in Tagaytay, kindly check out Summit Ridge Hotel Tagaytay and have an awesome trip in Tagaytay City!